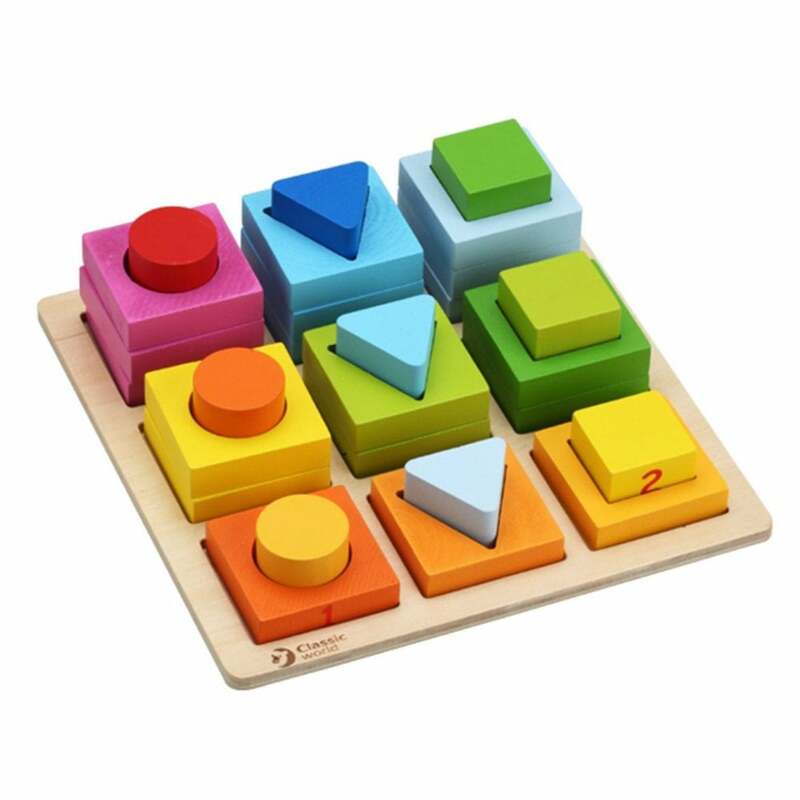 The Classic World Geometric Puzzle makes a perfect playing companion for your growing child. These geometric blocks can help a young child learn different colours and shapes. You can also use them to help your child understand the relationship between different numbers and the size of the blocks. On top of all that, you can also use them as building blocks!